The “Circo FantazzTico” is a social project based on training circus art, founded by the association “vida nueva” about eleven years ago in San Isidro, a city in the south of Costa Rica – one of the poorest regions in Costa Rica. 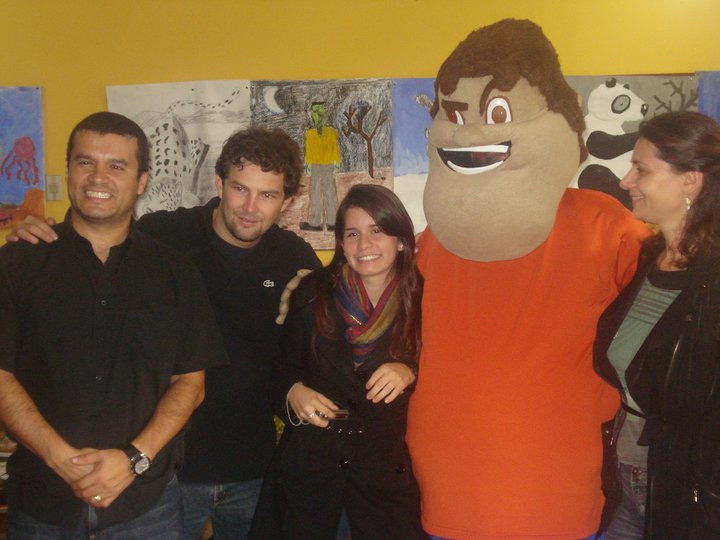 It uses circus pedagogic as a way to offer preventative help for socially deprived children and teenagers. The most artists are young people, often youth between twelve and eighteen years. Most families in San Isidro are very poor and the kids there hardly have leisure activities – some of them don’t have any chance to live a better life. Many leave to the drug mafia, where money can be made rapidly, but as everybody know, this kind of business is extremely dangerous. Therefore the Circo FantazzTico project was set up to help young people. The idea is to create a secure place for children and youth with social difficulties to teach them corporal abilities and social competence. This circus covers the entire spectrum of disciplines, from juggling to acrobatics, allowing the kids to develop confidence in themselves and in the group and to develop team work skills plus a sense of responsibility. Moreover, the importance is not placed on individual success but in detecting and improving the capacities, strengths and talents of each, in order to achieve success as a group. A show that is prepared and brought to success by the whole group improves self-esteem as well as group consciousness. This year the circus-crew is travelling in Europe for the fifth time in Europe – for the young people, the journey is something very special. It provides a safe starting point in which young people can develop their interests and abilities. For them the Circo FantazzTico is a way to make something out of their lives, to bring sense to their youth and to see more parts of the world as most of the other youth from San Isidro, and to develop skills to live from later on through training, talent and hard work. But only the best young artists of the circus were allowed to come to the nearly two -month European tour, which began with two exceptional performances in Germany. The performance is based on the literary work “Marcos Ramirez” of the Costa Rican author Carlos Luis Fallas. The book is about a boy who tried his best but often got disappointed. He hoped for a world of solidarity. The plot is taken up in an amusing way, but acrobatics and juggling still dominate. At the beach of Ostional in the Nord-West of Costa Rica nearly once a month an incredible biological wonder happens. The week before new moon thousands sea turtles come to a specific place of the beach at Ostional to dig a big hole and lay their eggs into the sand. Some days (or sometimes a week) before the Arribada, many turtles stay in the water, waiting until the “Arribada” begins. Afterwards thousands of sea turtles come out of the water on the beach to lay their eggs. The arribada usually takes 3 – 7 days. 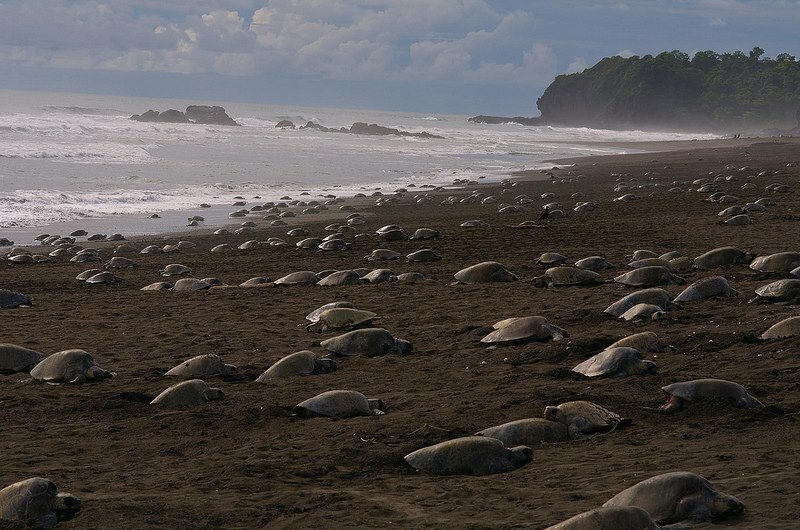 Sea turtles at Ostional nest throughout the whole year but the best time to see this natural wonder is from July to December, during the rainy season. At this period the arribada happens regularly once and sometimes even twice a month. Furthermore the number of nesting turtles is much higher during this period than in the dry season month. The largest arribada which has ever been seen in Ostional, took place in November 1995, where approximately 500.000 sea turtles came ashore. Usually the turtles come at night to be protected from their predators but during an arribada the start coming ashore soon after the sunset and even often during daytime as well. Sea turtles move on the beach until they get over the high tide line, so that their eggs are protected from the sea. Afterwards they use their flippers to dig a big hole to lay around 80-120 soft, flexible white eggs. When finished, they use again their flippers to pour sand over it to protect them from predators like vultures, crabs or as well jaguars. The whole process takes about 1-2 hours. 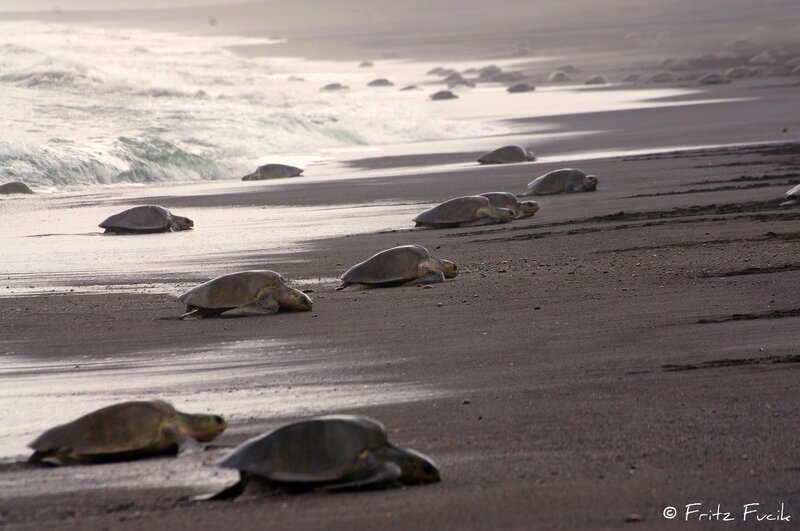 During an arribada nesting turtles leave up to 10 million eggs on the beach of Ostional in Costa Rica. Surprisingly, the beach of Ostional is the only one in the world, where harvesting turtle eggs is not illegal. The reason is that Scientists found out that most of the eggs laid in the first nights are destroyed by other sea turtles within the next days. Therefore local people of Ostional are allowed to harvest eggs within the first three days of an arribada. Sea turtle eggs are a delicate in some regions – the price for 200 eggs is about $10. In return the community of Ostional cleans the beach, help the turtles and protect the beach from poachers. Usually the baby turtles hatch at night within 45-55 days but sometimes you can see baby turtles hatching during day time, depending on the temperature – usually they prefer coolness. As soon as the baby turtles struggled out of the sand, they smell the breeze and instantly run to the ocean. People, who want to help the little cute turtles, should not carry them all the way, because they need to run to develop their lungs and flippers, but they will appreciate a bit of support. But the little turtles still are not save in the ocean – a lot of other predators like sharks or crocodiles. The most dangerous predator of sea turtles is still the human species. Usually only 0-5% of laid eggs will survive and grow to an adult turtle. Those who managed it, remember their home beach and will return after many years to dig a nest and lay eggs, like their mother did. From personal convictions, and to give future clients of Amadeus Travel the opportunity to experience and admire the natural beauty of Costa Rica we have committed ourselves again and again on many different levels for the preservation of our precious environment. 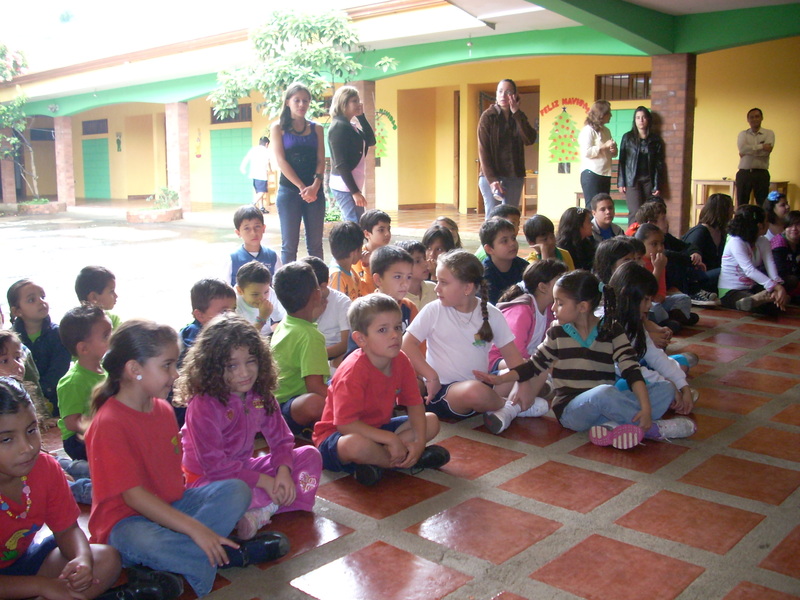 One such project is the financing of puppet shows with the theme “Recycling” at various elementary schools in Costa Rica. 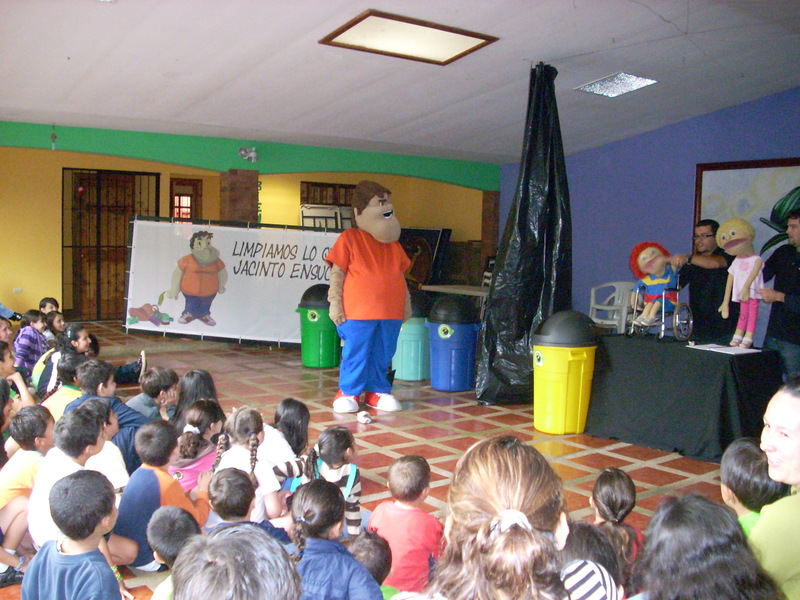 The project has the aim to educate children about the prevention and reduction of waste generation as well as the use of reusable materials as they have little or no knowledge about recycling. The theatre group “Los Muchachos del barrio” directed by Cristian Amador has tailored its program to children of different age groups and has dedicated more than 17 years towards this responsible task. The basic idea is that the children at the end of this performance see the topic of waste separation and reduction with different eyes, take new ideas back home, and this is slowly changing the thinking within the family. The actors of the theatre group perform with a lot of dedication, professionalism and this is evident from the pleasure at every performance. For the children, who often come from very poor backgrounds, a visit of the theatre group beside the learning curve is usually a very welcome change in their daily lives. So that the children can successfully implement their newly acquired knowledge, these schools are supported by Amadeus by providing large containers for waste separation within the school grounds. The Costa Rican Tourism Institute ICT supports Amadeus in an exemplary manner. Big thanks from this site to the ICT and Canatur.